Bundy’s unique career has brought him across the world, with sold-out concerts in 26 countries and counting – from high-tech performance halls in South Korea and Italy, to remote villages in Zimbabwe and Guatemala. He has independently sold over 99,000 albums on his record label, Honest Ninja Music. His video clips circulate virally at astonishing speed, with over 35,000,000 YouTube views to date. 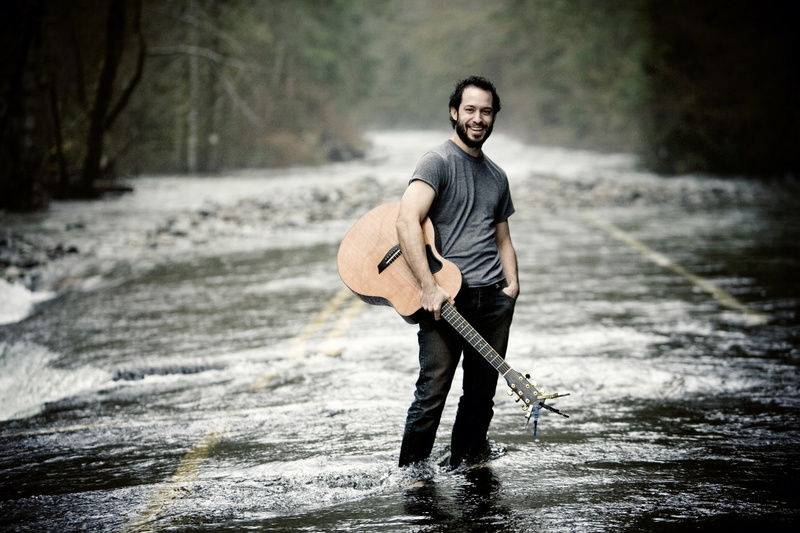 Trace was named “Most Promising New Talent” of 2008 by Acoustic Guitar Magazine, as well as winning third place in the magazine’s “Best Fingerstyle Guitarist” category the same year. Over his many years of touring, Trace has shared the stage with Brandi Carlile, Olivia Newton-John, Neko Case, Judy Collins, Nitty Gritty Dirt Band, Phil Keaggy, David Wilcox, David Knopfler (Dire Straits), Bill Nershi (String Cheese), Laurence Juber (Paul McCartney & Wings), Chris Hillman (the Byrds), and Stanley Jordan, among others. Take a minute to check him out and you’ll agree that Trace Bundy must be seen, not just heard.